Castor oil has many uses that made it popular in beauty care. It improves the health of hair and promotes its stronger growth. It is also used to grow thicker lashes and brows. Discover more benefits of using Natural Riches Pure Organic Cold-Pressed Castor Oil here. 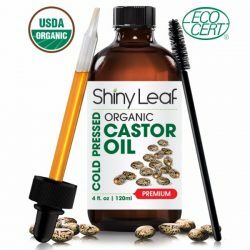 One of the uses of castor oil is to promote hair growth. It prevents hair fall and treats scalp conditions such as dandruff. 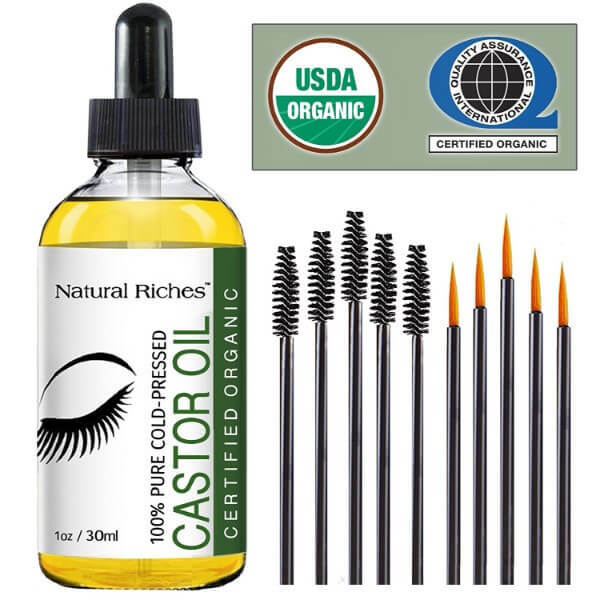 Castor oil is rich in essential fatty acids that moisturize hair. Moisture is important in preventing hair breakage. Dry and brittle hair is more prone to breakage and increases chances of hair fall. The ricinoleic acid in castor oil stimulates blood flow on the scalp to stimulate hair growth as well. 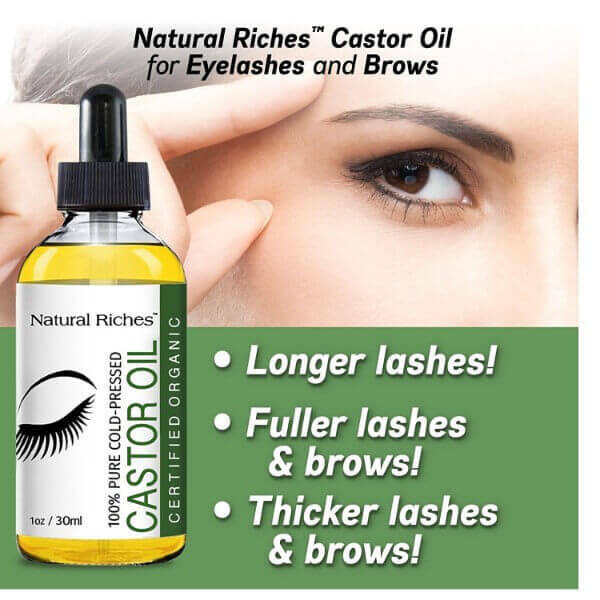 Natural Riches castor oil works to improve the appearance of lashes and brows. 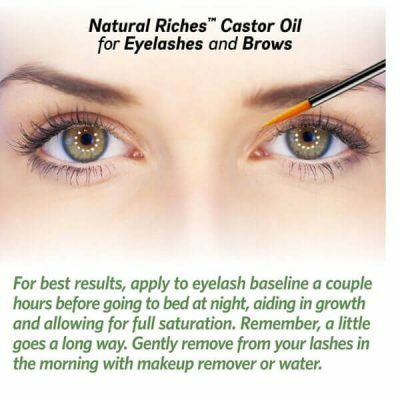 Skip the mascara and apply castor oil instead to get full brows and lashes. Castor oil is rich in vitamins and minerals that penetrate into the skin to nourish the hair follicles. The vitamin E in castor oil is a potent antioxidant that fights free radicals. 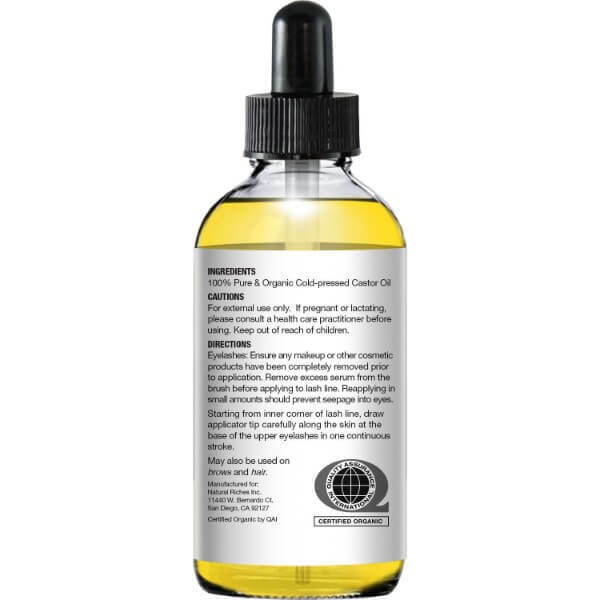 This fights hair loss while ensuring the healthy growth of hair. 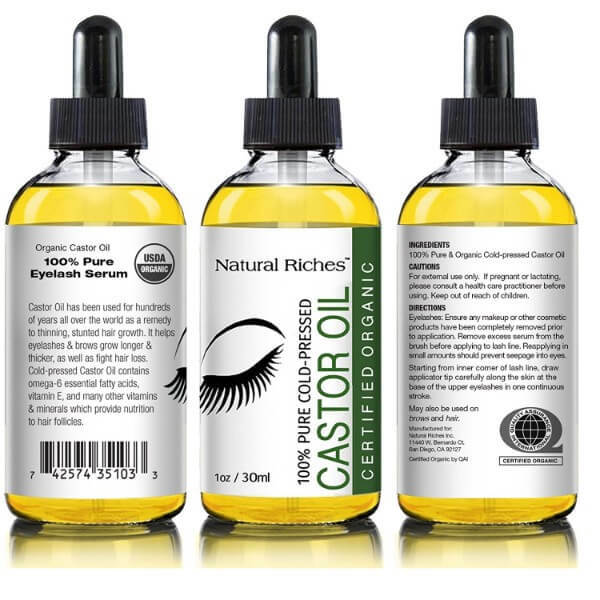 Castor oil is light but has heavy moisturizing effects. Applying it gives hair a soft and smooth texture. Castor oil makes hair shiny as well. 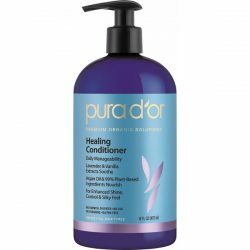 Its versatility makes it great as a leave-in conditioner, a conditioning treatment, or as a styling agent. 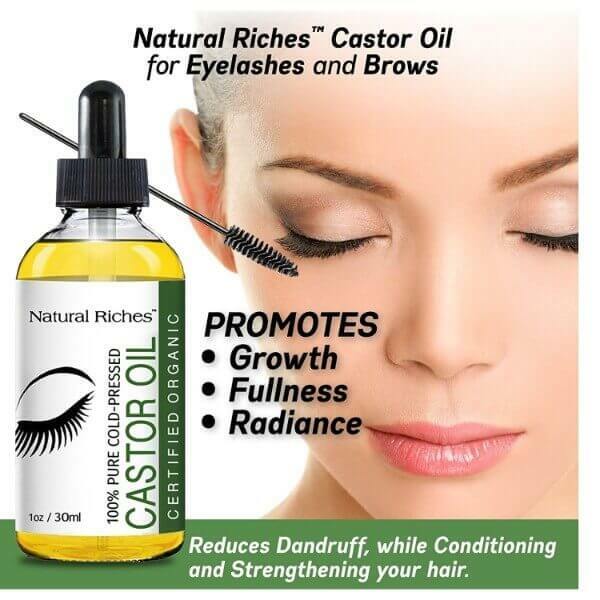 One drop of Natural Riches castor oil works wonders to provide moisture to hair. Organic cold-pressed castor oil contains all the nourishing substances that restore hair strength and shine. Use it regularly to condition hair or apply to bald spots to stimulate hair growth. 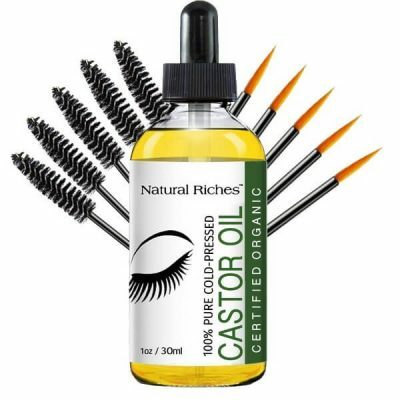 Natural Riches offer five lash applicators and mascara wands along with a bottle of the organic oil. The product comes at an affordable price. Buy a bottle of castor oil and experience its various benefits. 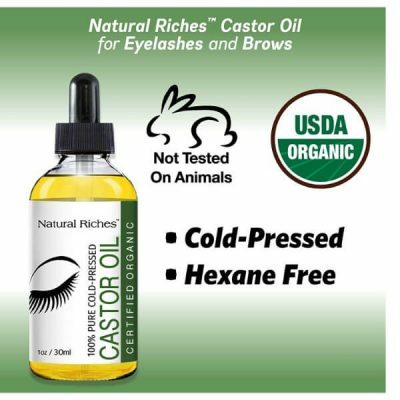 Made from pure organic cold-pressed castor oil. Comes with five lash applicators and mascara wands. 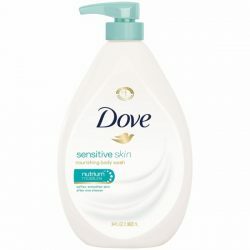 Works for all hair types especially dry hair. Free from hexane and does not contain any filler. Relieves symptoms of scalp conditions such as dandruff. Nourishes hair to improve its strength. 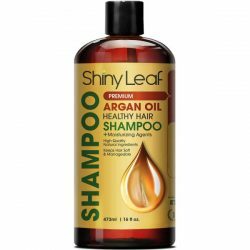 Gives hair improved texture and shine. 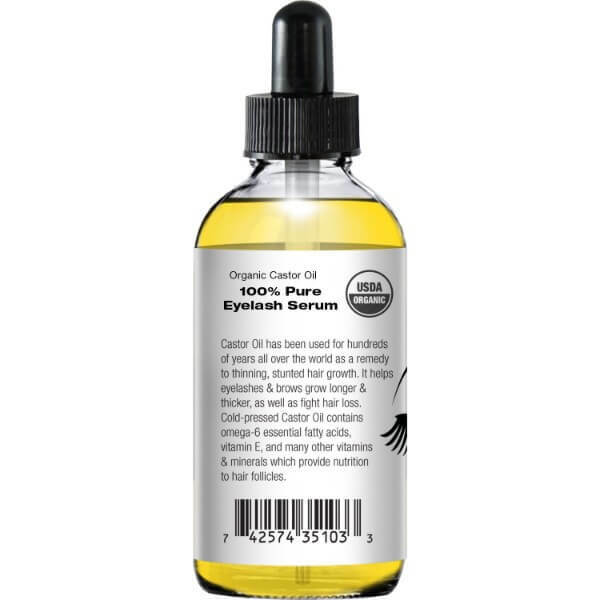 Stimulates healthy and thick growth of eyebrows and lashes. Prevents hair loss and breakage. Use castor oil after shower. Wring out excess water from hair. Use 2-4 drops of castor oil to apply from the midlength to the tips of hair. Use a hair dryer to evaporate the water faster from hair. Make sure to remove any cosmetics from the face. Cleanse the face well and pat dry. Dip the eyelash applicator or the mascara brush on the bottle. Remove excess oil on the applicator by sliding it on the rim of the bottle. It’s best to use small amounts of castor oil and reapply until eyelashes are fully covered. It prevents the oil from seeping into eyes. 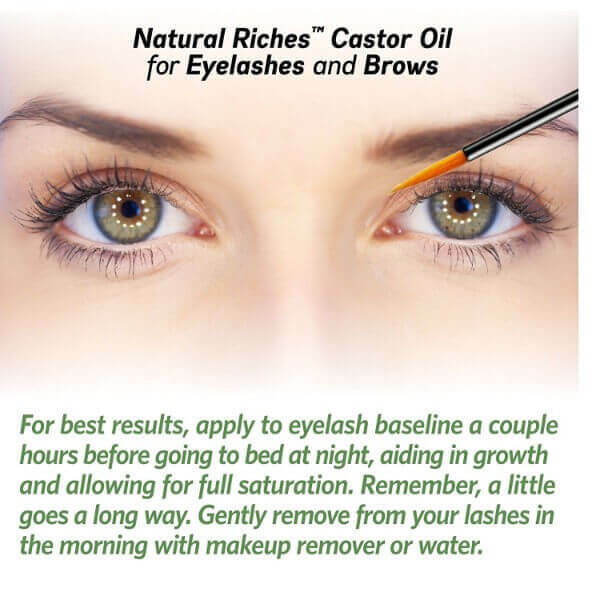 Apply the castor oil from the inner corner of the lashes and brushing outwards. Do this until it is fully covered. The same goes for the lower lashes. Use the applicator to draw along the roots of the lashes. Dip the mascara brush on oil and remove the excess. Brush the eyebrows with the mascara brush starting from the inside and working outward.